Outdoor magazines can get a bit obsessed with gear and new stuff. All the latest bikes, skis, boards, clothing. 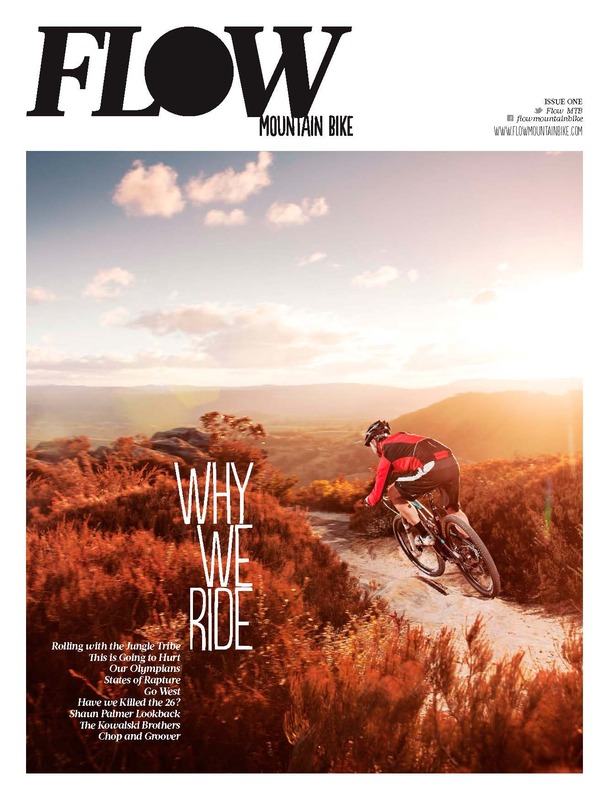 Flow magazine is a new, home grown entry to the rather crowded mountain bike scene, and its refreshing because it focuses on the people that are riding, without getting too obsessed with the latest carbon fibre frames. Issue one is on sale now and has a feature on ‘why we ride’, with a series of reports on road trips and non pretentious profiles on ‘average’ MTB riders and clubs. I love the one about a truckie from Albury. Chris Southwood and Mick Ross from Sydney are the co-founders of Flow Mountain Bike. It’s clear they are riders themselves and bring a lot of their passion for their sport to the magazine. And while it has some great photos from overseas, it has its sights set on Australia and what our terrain has to offer riders. There is a great photo essay on riding in the Blue Mountains and beyond that evokes that shimmering heat of summer, a few test articles, coverage across the sport from the World Cup circuit to weekend warriors, plus some good columns from different riders. It’s a bit bloke heavy, but that may broaden out over time. Chris and Mick say “Flow Mountain Bike exists to inspire; through our words, images and videos we want mountain bikers to find the inspiration to ride more, try something new, travel somewhere fresh, or make mountain biking more central to their life”. They save the technical stuff largely for their website, which aims to be the “leading online resource for Australasian mountain bikers of all disciplines”. While the website is useful, I have to agree with Chris and Mick: “nothing can replace the engaging experience of a good magazine”. I also love the name. ‘Flow’ is the place you go to when your turns are working, or the swell is just right, or the track is perfect. It doesn’t matter if it’s riding, boarding, surfing or climbing, there is a wonderful space you slip into when you’ve hit your stride in your sport, and your gear, technique and skill, and the conditions bring it all together. It seems like this magazine is homage to that moment in riding when you’re truly in the flow. A magazine is a good thing, getting out there is really what it’s all about. Check it out, and support it if you can. It has a nice clean design and some great images. Available widely in newsagents or via subscription.